Okay, now I’ve just confused myself. 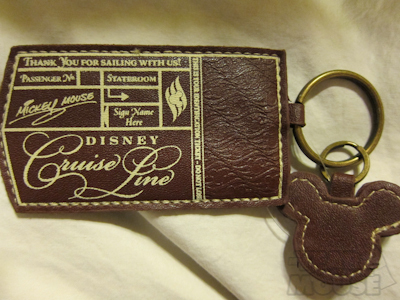 But for those of you who aren’t pin collectors or if you’re anyone who carries around a key, here is this adorable Disney Cruise Line keychain! Thank you for sailing with us! You're welcome! But still, this keychain CAN BE YOURS!!! I know the picture makes it look huge without a reference, but seriously the keychain is only a couple of inches and well within most people’s keychain limits. Except for guys who seem to always want more manly keychains. 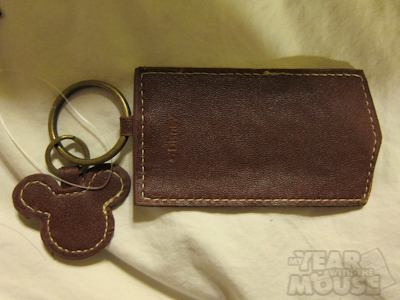 Nah, real men carry Disney keychains, am I right??? 2) Have a friend leave a comment using your name. Now feel free to take this opportunity to invite your friends to explore this fabulously amazing blog (I’m referring to MYWTM here) and hey, just give them a chance to swing on by. And there ya go! Contest ends 11:59 PST on Thursday October 20th. Good luck! I have keys! And part of my family is named Keys! Suzy berhow is my friend! I have keys!!! Seriously, I like that little keychain. It would look awesome hanging from my “Disney” purse. Not the D&B one I really want but a $22 Guess one that looks sort of like it. Fingers crossed! I have keys for home/car, and I have keys for my school. Leanne does have keys! I know because I usually carry them! and so glad I found your blog – taking my 3yr old boy for his first visit next month! What she won’t do for a freebie?? She does have keys, at least one. And I am enjoying reading through your blog (old posts). Fun! Thanks.